Pencil Sharpeners! Oh yeah. I probably have too many — can you have too many? — but I use each one for a different purpose and I really enjoy them all! And that’s the whole point — pun intended! — right? Don’t get me wrong, I still use mechanical pencils — my fave is an old Delphonics with a wooden body — hmmm, noticing a trend here. But there’s just something about using a real pencil. So now let’s talk about how to sharpen them. 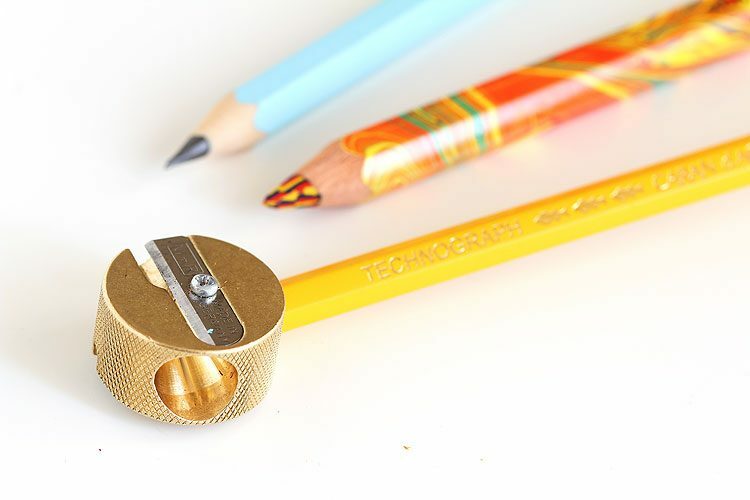 I’m breaking this post down into my top 4 favorite sharpeners: the KUM Masterpiece, Palomino Blackwing Long Point, Alvin DUX Inkwell, and Mobius & Ruppert Brass Round Double Hole. I’ll have some links for you too. Full disclosure: the Amazon links are my affiliate links, so I’ll receive a small commission at no charge to you if you click the link to make your purchase. I thought I’d start out with the Alvin DUX Inkwell pencil sharpener since I’ve had it the longest. I got it back in 2004 at the campus bookstore at the University of Wisconsin, Madison. I was there for a prairie conference and that blue just got me! As an aside, I love checking out campus bookstores for cool art supplies — sometimes you can find nifty things and as an added bonus you have a souvenir of the trip! 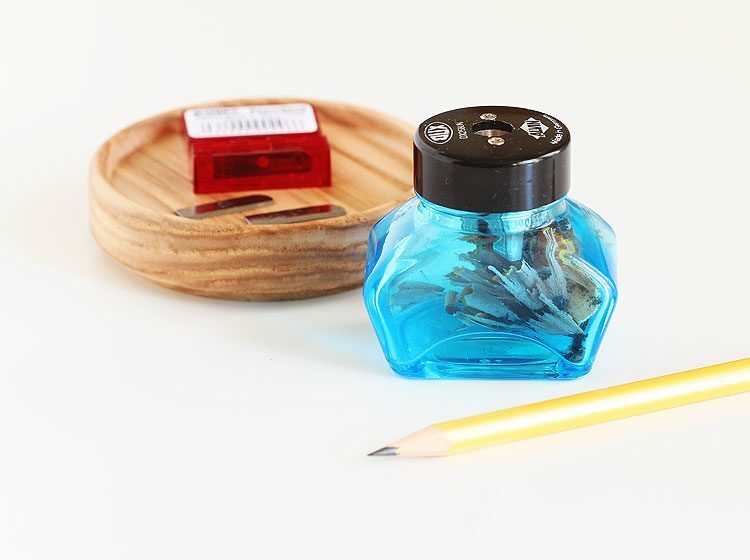 I also like to support local shops when possible, plus with this particular sharpener you can choose your color when you purchase it in person. Which might be hard since they’re all so pretty. Talk about eye candy. 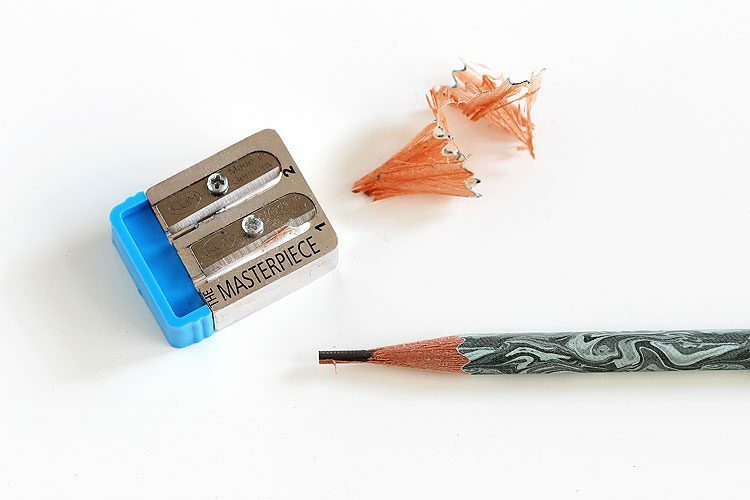 Anyhow, back to the sharpener. 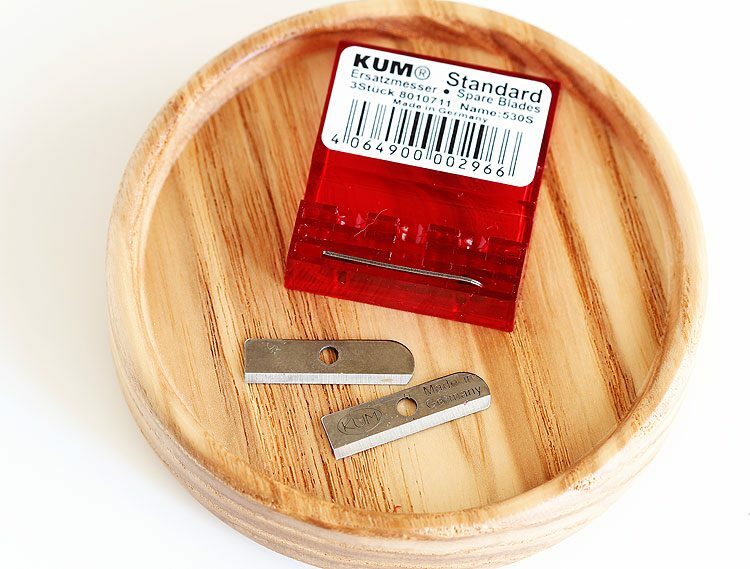 Replacement blades: after much research, I was so happy to find that the KUM spare blades for standard sharpeners work perfectly for this sharpener. In the photo above, the top blade is the one that came with the sharpener, and the lower one is the KUM spare blade. I ordered mine from JetPens. Just had to add that this whole post came about after I found the replacement blades — the info that was out there was kinda sketchy — I just had to share! 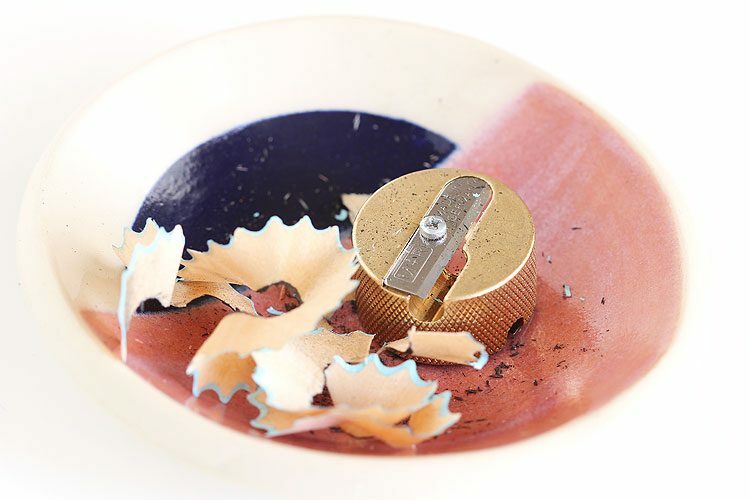 Notes: This sharpener looks gorgeous when it catches the sunlight. It’s also nice having the inkwell to catch the shavings. 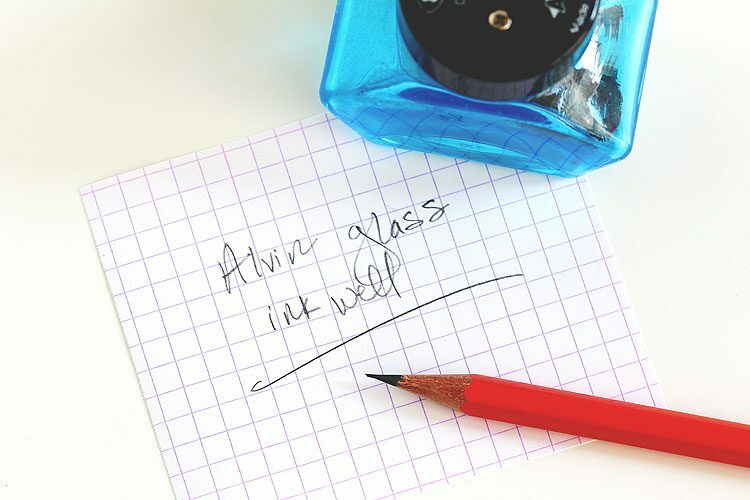 Since it’s glass, it’s not something you’d want to toss in your sketch bag tho! There’s a plastic backstop and you keep sharpening until the lead hits it. Then in the second step you shave the lead to form the point. So cool. 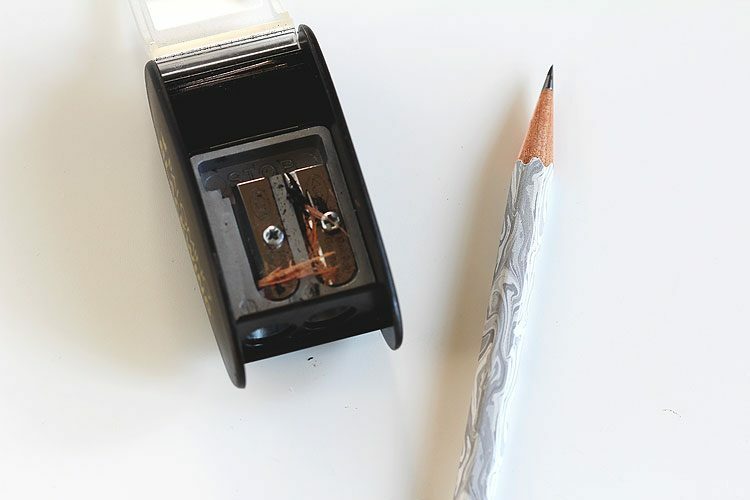 Replacement blades: This sharpener comes with 2 replacement blades tucked inside. 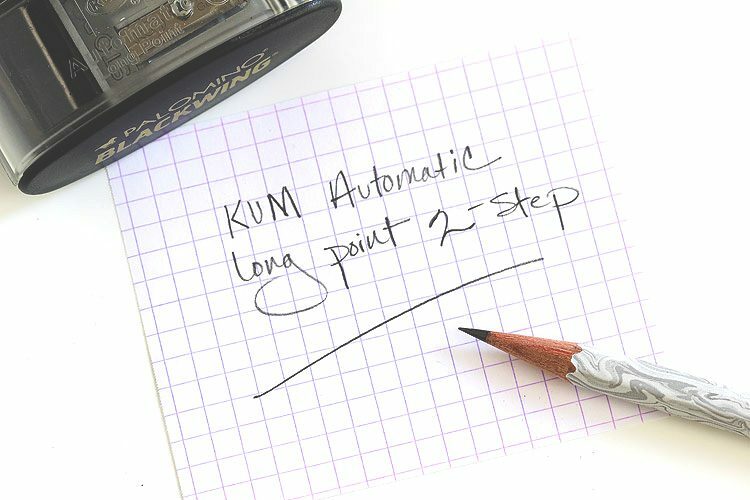 When those are gone, you can use the KUM spare blades for Automatic sharpeners. 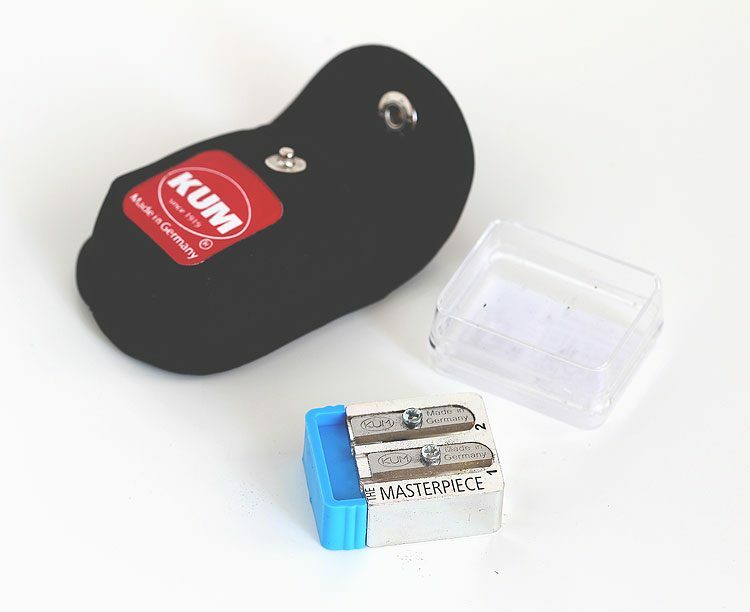 Now for the KUM Masterpiece pencil sharpener. This guy comes in a clear plastic case which is then inside its own little pouch. Notes: Oh holy cow, look at that point! Yep, it really is that sharp. 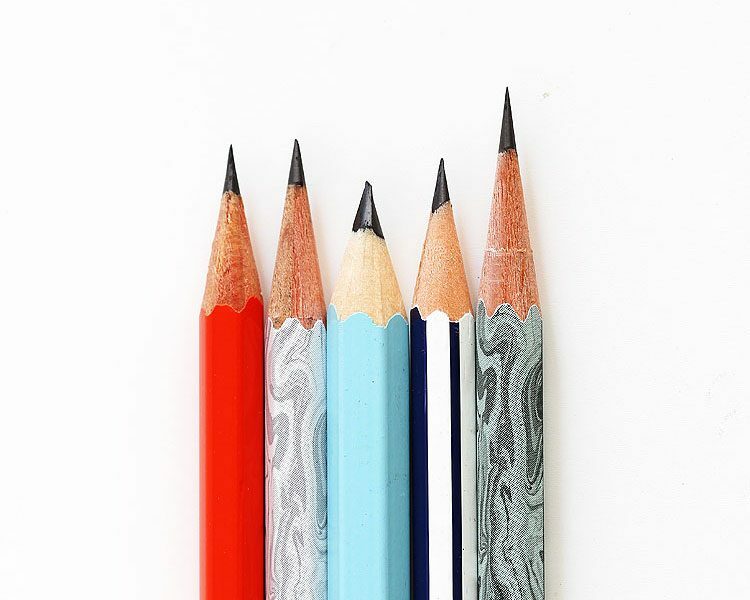 Depending on the pencil hardness that you’re using, that fine tip may just snap right off, of course. 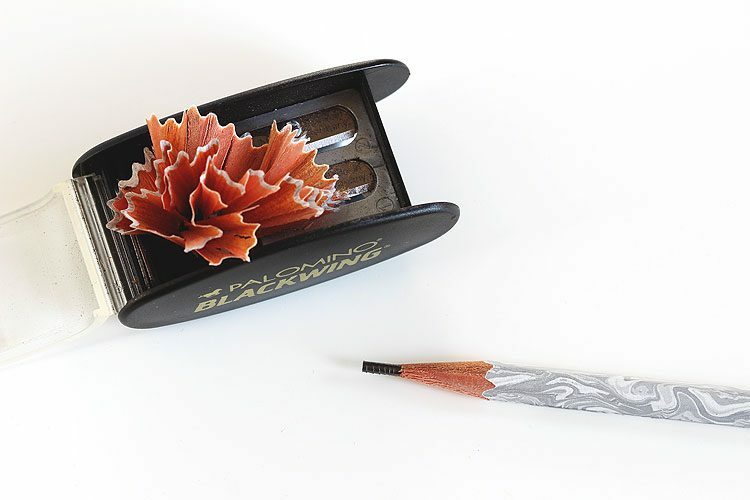 It seems to work just fine for these Blackwing Volume 205’s. I love using this pencil sharpener, it just feels so good in your hand. 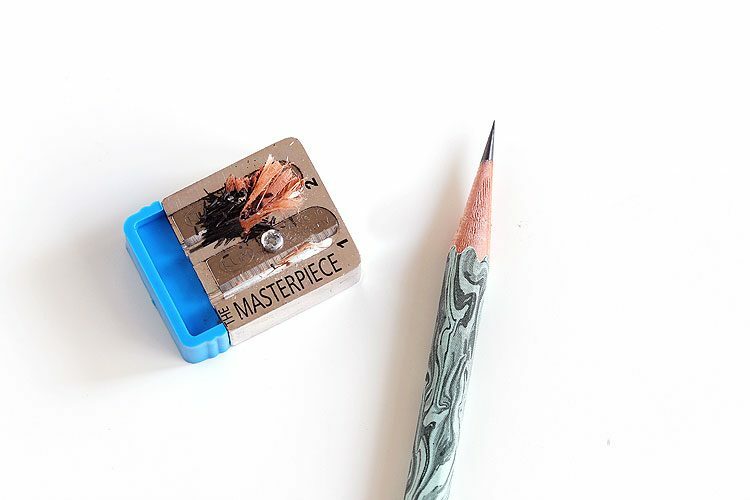 I found the best price for this sharpener over at CW Pencil Enterprise, but not sure how long they’ll be in stock. 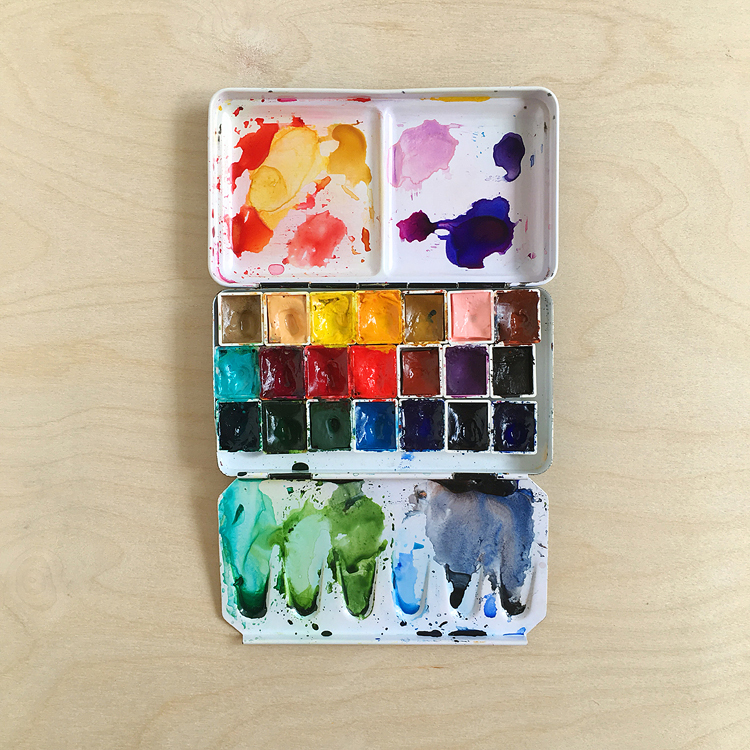 While you’re there, why not pick up a pencil sampler pack? I’ve purchased 3 so far and I loved playing with them all. 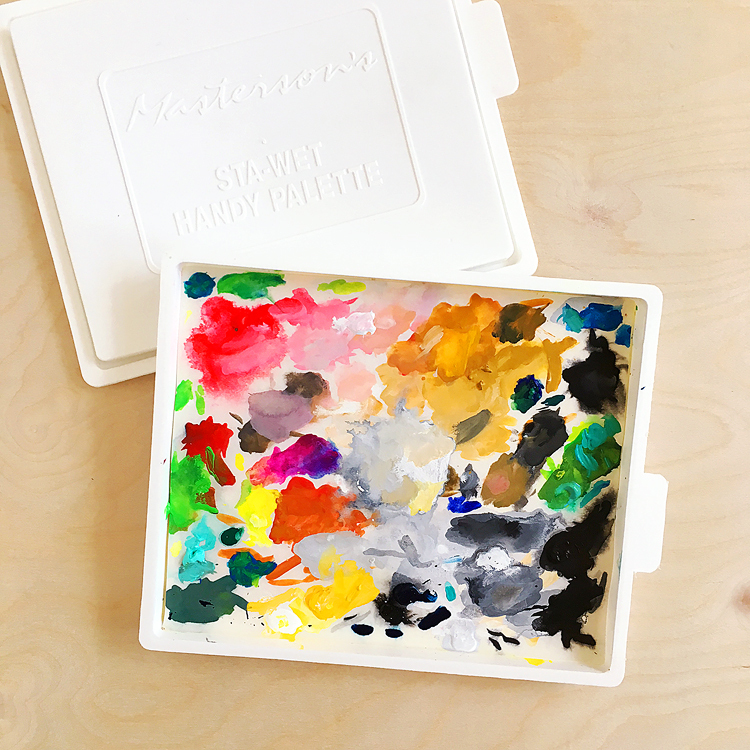 Such a treat, plus you might find your new favorite pencil. I’m still trying to work out how I can collect the shavings when using this one on the go. Would love to be able to save some gear space! But trying to catch those shavings in something like a plastic bag just doesn’t work when it’s windy…anyone have suggestions? For now, I use it at home on my desk. 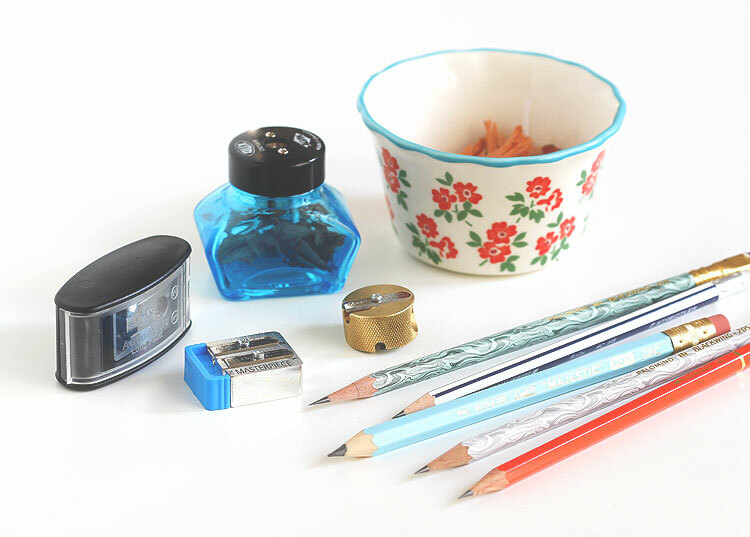 This pencil sharpener sharpens both standard size pencils AND jumbo ones! Yeah! It also feels good in the hand — it’s so nice and heavy. Notes: I keep this one out on my desk in that little dish. 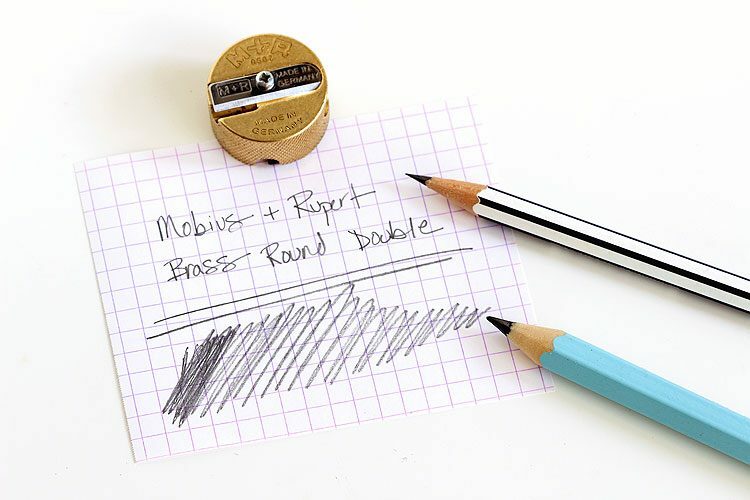 It sharpens both standard size and jumbo pencils like a dream! It also feels so good in the hand. PS. The little dish is by Pauline Wolstencroft and was a gift from a friend. She got it for me at Long Weekend Store in Oakland after I saw it while I was there and regretted not getting it. If you ever have a chance to visit the shop you totally should — so many awesome things, plus you might get to see Charlie! 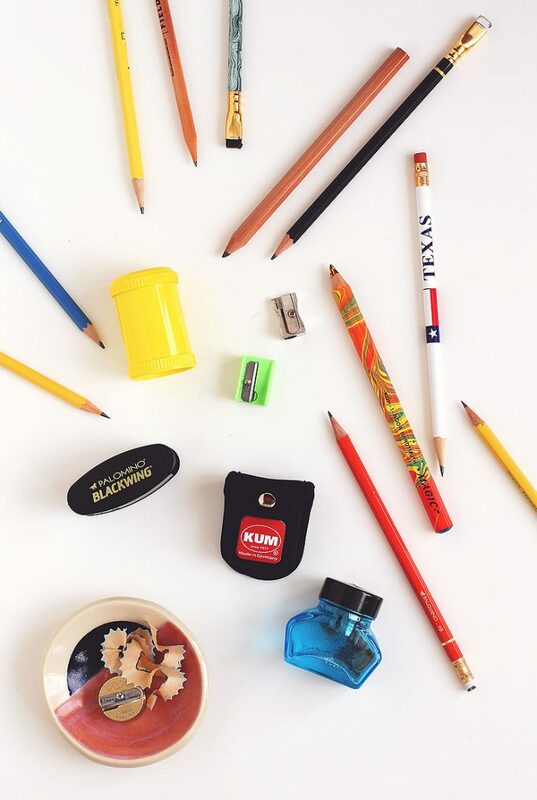 There’s no way I could part with any of these sharpeners. The Inkwell is just so pretty, plus love having that reminder of the prairie conference. The Palomino Blackwing Long Point stays in my sketch bag. The M+R stays on my desk in the little dish and it’s so great how it can handle any size pencil I throw at it. And then the Masterpiece is — well yeah, a Masterpiece. Not to mention a joy to use. Hope that helps someone out there! Just let me know if you have any questions. Fantastic information thank you so much. Makes my collection look a bit rubbishy. These may not be available in Australia but I will look them up. My favourite is the inkwell.